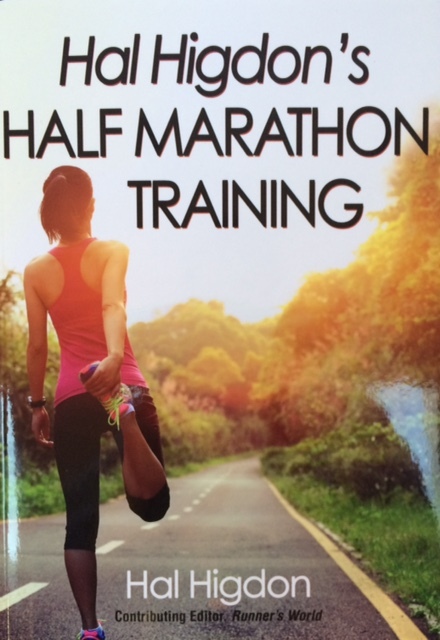 It’s week 12 of my 18 weeks of marathon training. Six weeks from this Sunday I will run the Chicago Marathon. It will be the third time I will run 26.2 miles. When I woke up before dawn this past Saturday morning for another long run, I jotted down the way I was feeling. Here’s what I wrote. “This is the point in my marathon training when my brain starts to try to convince the rest of my body that I CAN’T actually do it. Or that I don’t WANT to. It’s when the little lazy minions in side of me who aren’t totally on board with this goal begin to wage war with the rest of me. It’s when I begin asking “Why did I decide to do this?” It’s when the battle between I CAN’T and I CAN begins. And then I went out and ran 16 miles. I haven’t posted a recipe in a while. This one is too delicious not to share. As a vegetarian I am always looking for new ways to use vegetables. Roasting them is always one of my favorites. Heat the oven to 450 degrees. 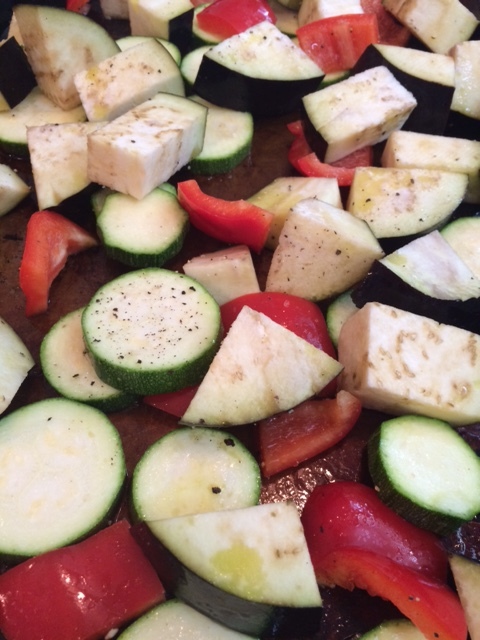 Place the eggplant, zucchini and pepper on a large jelly roll pan, drizzle with EVOO, salt and pepper and toss to coat. Place in oven checking every 5 or 10 minutes and flipping around until tender and browned evenly (about 20 minutes total). Meanwhile in a medium skillet add 1 or 2 Tbsp. EVOO and the chopped onion and cook over medium heat until softened, 5 minutes or so. 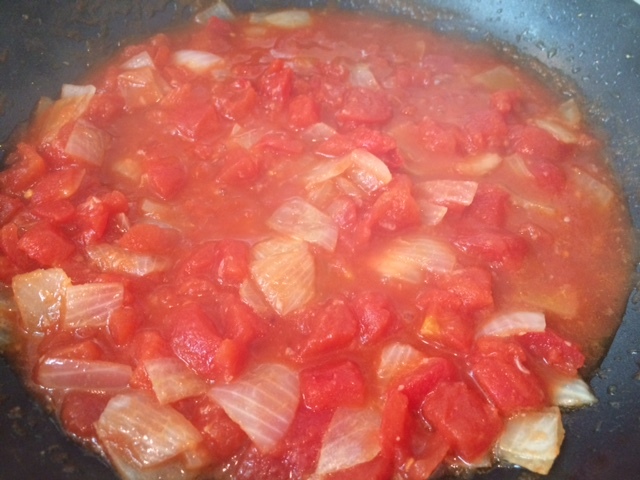 Add garlic and tomatoes and simmer another 10 minutes. Remove from heat and add in cheese. Cook pasta according to package directions and drain. 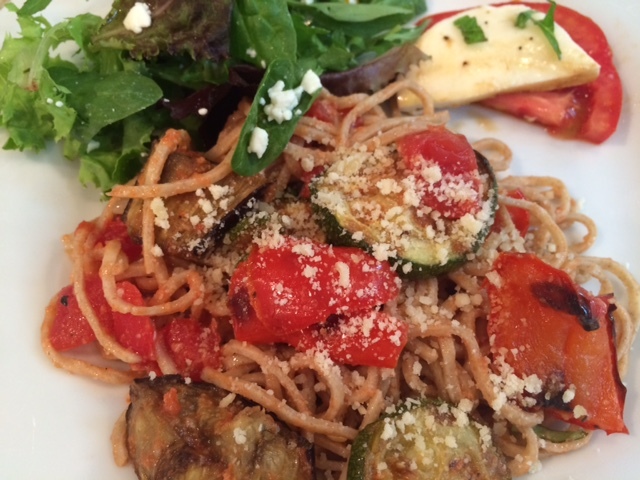 Add pasta to tomato sauce and then add in roasted vegetables and a handful of chopped fresh basil. Toss to combine and serve. School starts on Wednesday! What?! For now I’ll leave out my reflections on how fast the summer went by and how I was surprised by how much I actually enjoyed being with my kids all day. Most days. I won’t go into how I’m ready for a routine, but will also be a little teary when my girls hop on the bus and wave goodbye. Nope. Right now I’m focused on making sure we’re all prepared to start the year off right. You see, I am now entering my third year as a mother trying to get children out the door and onto the bus on time. And I’ve learned from experience that I become EVIL when we are running late for school. I wish I didn’t, but I do. I’m not sure why and how it happens and I should be able to have more self control. I just get a little crazy when all three children ignore my requests to eat breakfast, get dressed and brush their hair and teeth as they stare blankly, entranced by Mickey Mouse or Princess Sophia. That’s why I decided to create a new approach to school mornings at our house. 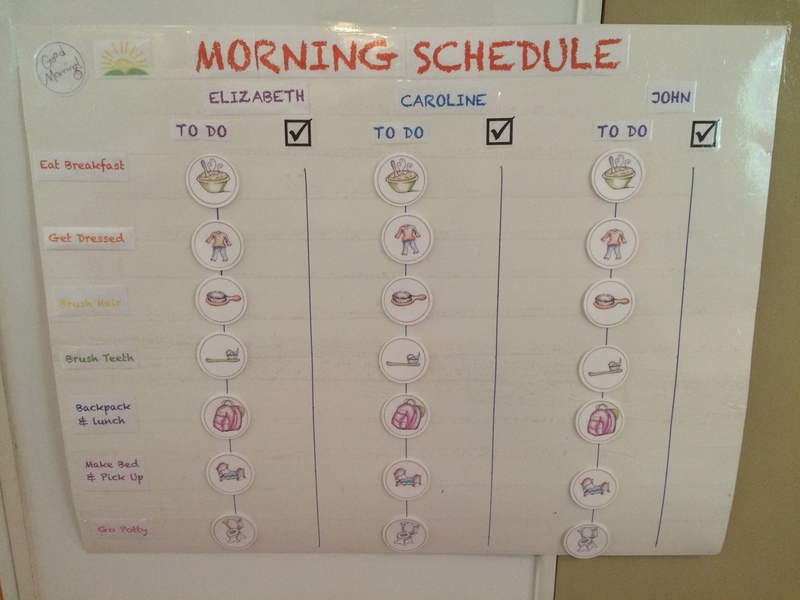 Enter, the Morning Schedule Chart… clever name, right? Here’s how it works. Each child is responsible for accomplishing each of their morning tasks, the basics, before they can watch TV, play on the computer or set up a village of Legos in the living room. 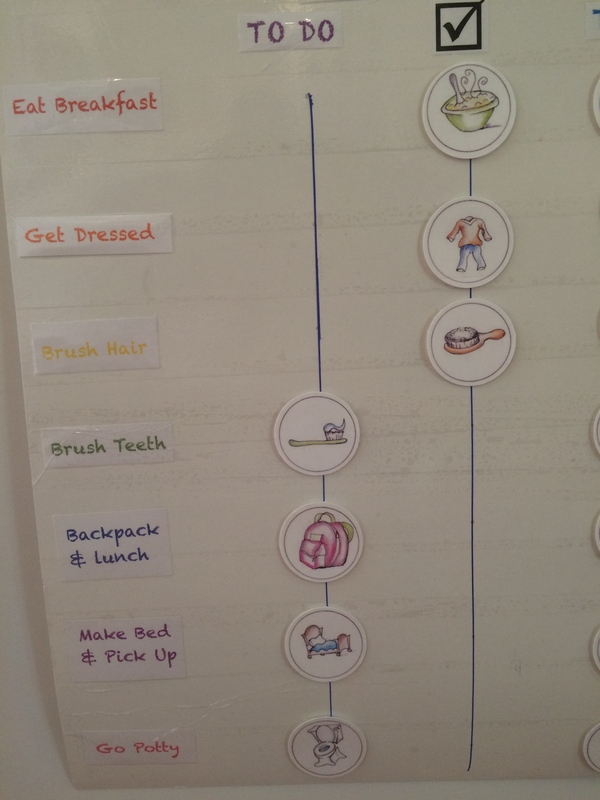 With each task they complete (in any order) they move that sticker from the “to do” column to the “check/complete” column. I’m borrowing this approach from the one and only Ms. Mare, one of the most brilliant preschool teachers ever. If she can get it to work in a classroom of 14 busy preschoolers, I should be able to make it work here with just three children. It’s not like I’ll be lying in bed expecting them to make themselves eggs and pack their lunches. Of course I will still help them! But hopefully it helps them learn to become more independent and understand that they are responsible for themselves and for being on time. Sound mean? Maybe. Will it work? Not sure. But it’s better than the way things have gone in the past. 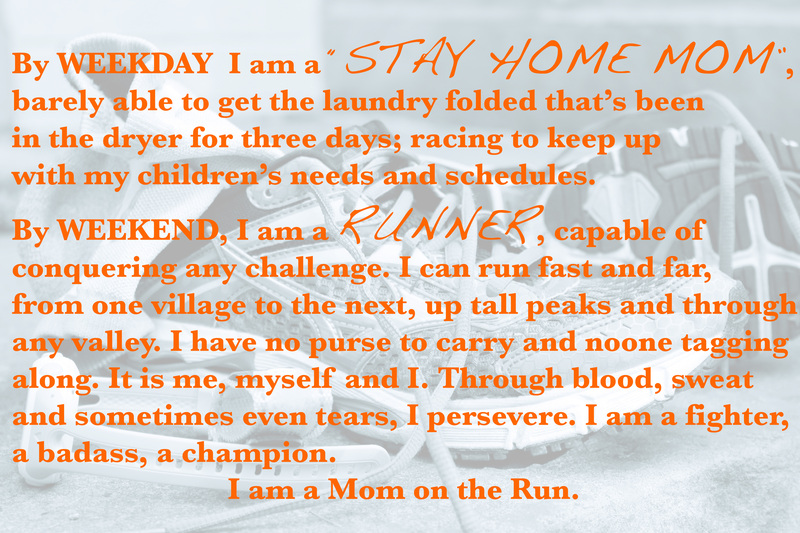 First I created the text for each of the daily tasks, along with the header and the kids’ names. 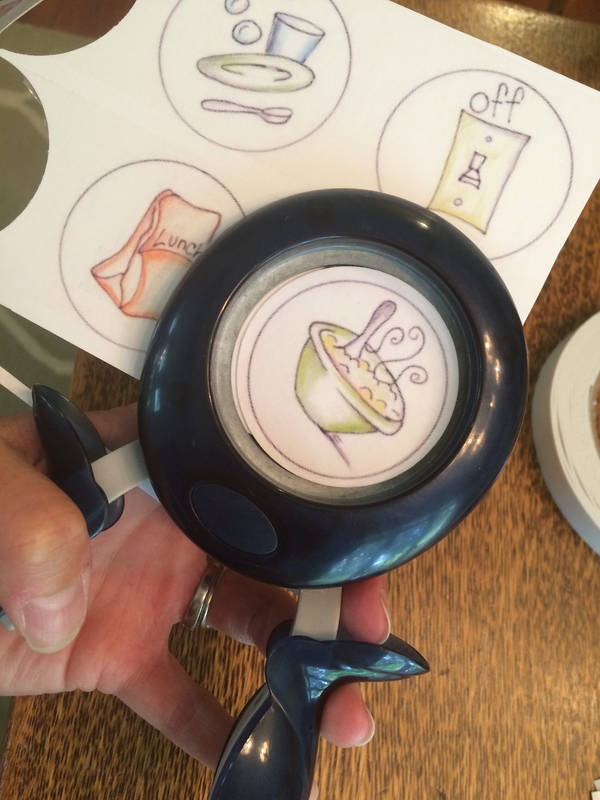 I printed them out and cut them down to size using my Fiskars paper cutter. I laid them out on the poster board and then used a bit of double sided tape to hold them in place. 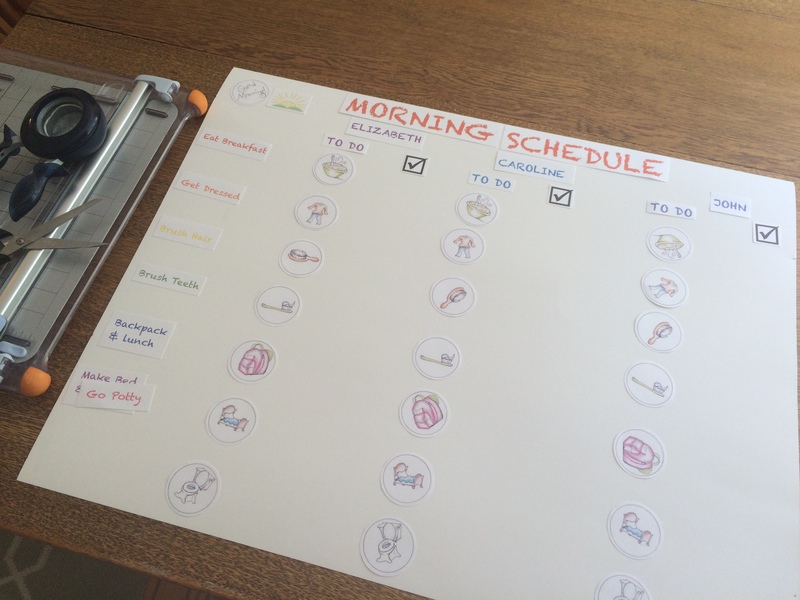 Here is the text I created, Morning Routine Chart. Then I printed out three copies of the graphics I used for the stickers. I used heavy card stock so the paper wouldn’t bend with use. That was free clipart that I found online here. Next, I used clear packing tape to cover the sticker graphics on both sides, wrapping the end of the tape around the corners. This was my way of laminating the stickers so they will last longer. After that I used a two inch circle paper cutter to cut out all of the stickers. If you don’t have a circle cutter, just cut them out as squares. 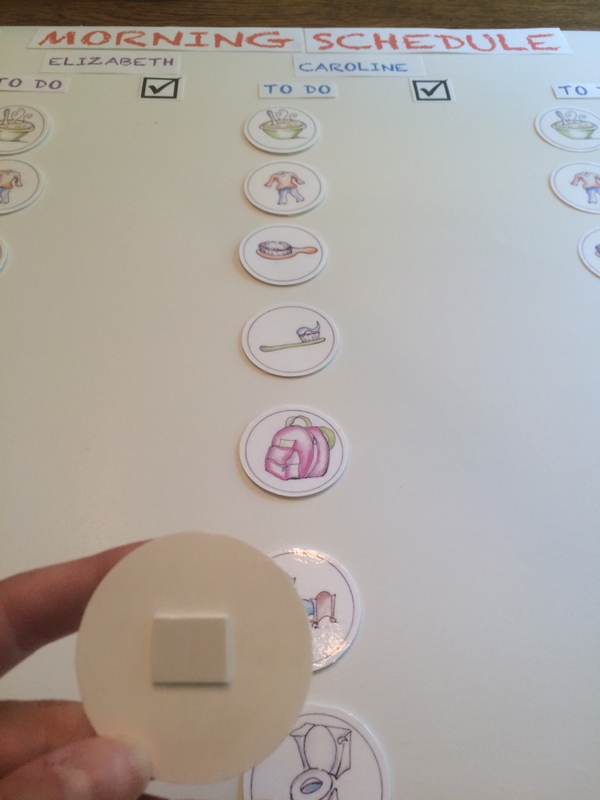 Then I placed a piece of double-sided tape on the back of each sticker. I considered using Velcro but I didn’t have enough handy, so I figured I could always add that later on. The tape works fine for now. 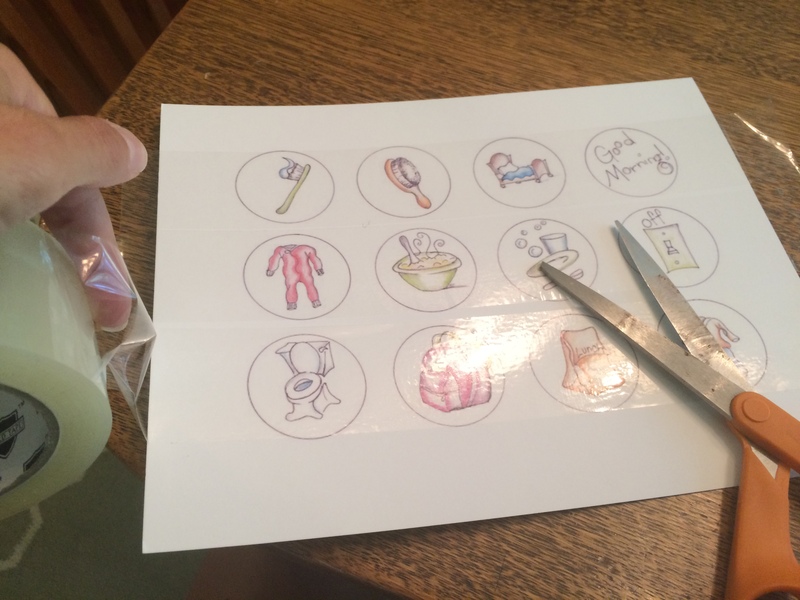 After using a straight edge to make lines on the poster board for each child to move their stickers from “to do” to “done”, I used the clear packing tape to wrap the entire poster board with strips of tape, again sort of laminating it. From start to finish it probably took me a couple of hours. I’ll be sure to keep you posted on how things go. Let me know if you decide to try this approach. I’d love to hear your results or any other ideas you have for ensuring your kids are ready for school on time. Please share them below. We put on our bathing suits after breakfast and wear them until dinner. I love that for many reasons, but mostly because it means virtually no laundry! 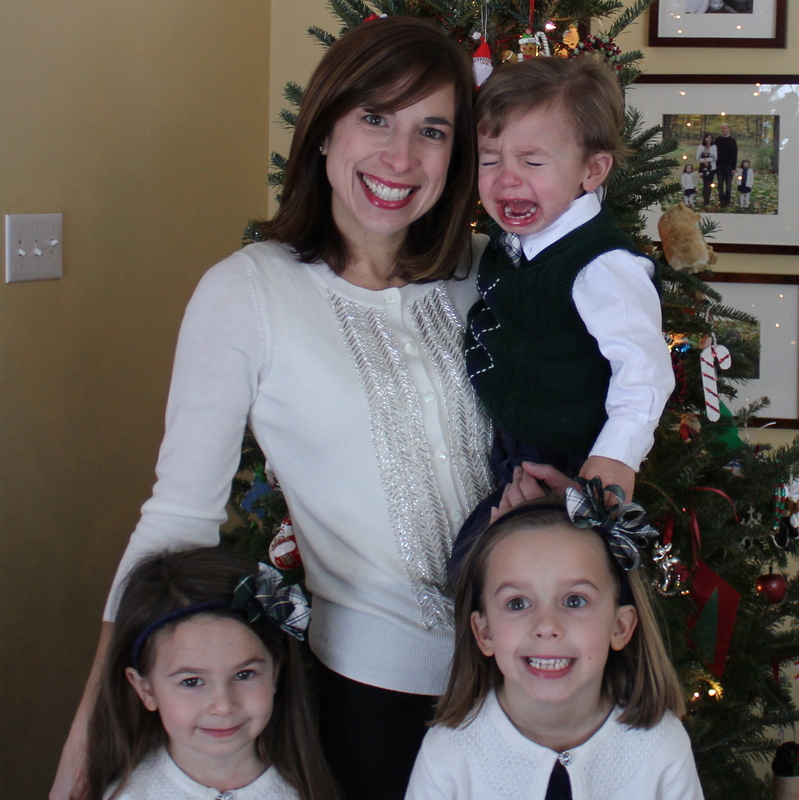 My husband gets to witness firsthand every single one of the tantrums and all of the bickering that takes place each day so he better understands why my face commonly looks the way it does by the time he normally gets home from work. Everything is better with two parents involved. It’s like I have a nanny who helps do the dishes, tells everyone to get dressed and brush their teeth, babysits while I workout and helps manage the complaints about the sand. Thanks honey! Running on the beach, chasing the Sanderlings and greeting the Egrets and Blue Herons who stand their ground and stare me down. Running on the sidewalk is like playing Frogger as I leap over the tiny lizards rushing by. Every run holds a new adventure. Reading in my beach chair… for 10 whole minutes. Hey, that’s 10 more minutes than I normally get to sit and read. I’m completely ok with the house being in total disarray. The beds go unmade and dirty clothes are strewn about and even get put on again after lying on the floor for a day or two. Anything goes. It is acceptable to drink wine (more than one glass even) and eat ice cream every, single night. Discovering more of nature’s miracles, like watching the tiny coquina clams that burrow back under the sand after every wave that washes them up and the Sandpipers who scurry up and down the beaches hunting for them. I love watching the sun light up the sky with shades of pink and purple each morning and then watching it sink into the Gulf every evening, the horizon on fire with color. The way building a sand castle makes me feel like a kid again. It is just the five of us, together. No chores, no obligations, no distractions. Watching my husband walk down the beach holding hands with our two daughters; the same beach the two of us strolled down together years before when we were dating, then again when we were engaged and then later holding each of our babies in our arms. Witnessing the pure, raw joy and excitement in my children’s faces as they skip down the beach and seeing the awe in their eyes as they stare out at the ocean dreaming of a whole other world under the sea.